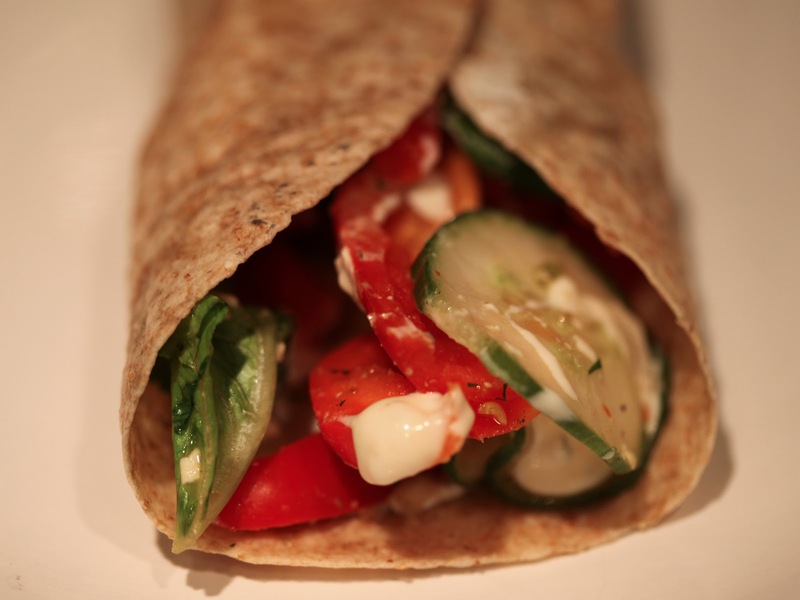 Earlier today, I was craving a vegetable wrap. Instead, I got vegetarian soft tacos with a side salad. That side salad turned out to be ginormous and so I had to bring most of it home. No one wants to eat leftover salad — it just doesn’t keep the same textures and consistency as when served fresh. Still, I hate to be wasteful and I thought about how good the salad would have been stir fried with some noodles, cooked up with some orzo and feta cheese, or — hey!! — turned into the vegetable wrap I was craving originally. 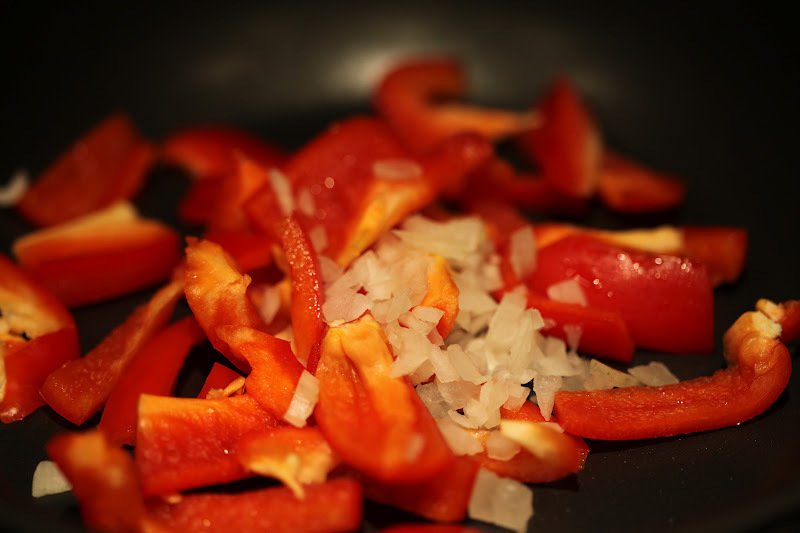 I came home and sauteed some chopped onions and sliced red peppers in a pan with seasoning. I kept it simple: salt, Cavenders, garlic seasoning. 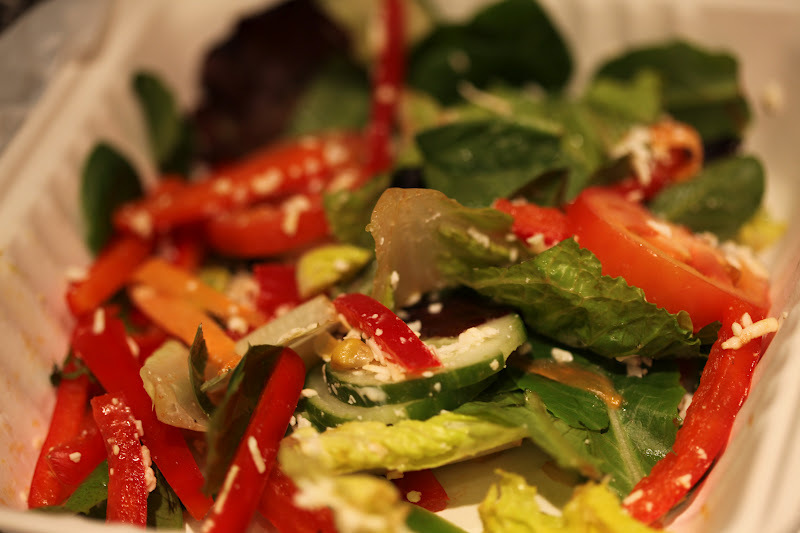 Once the peppers were starting to soften around the edges, I added the salad and turned down the heat. 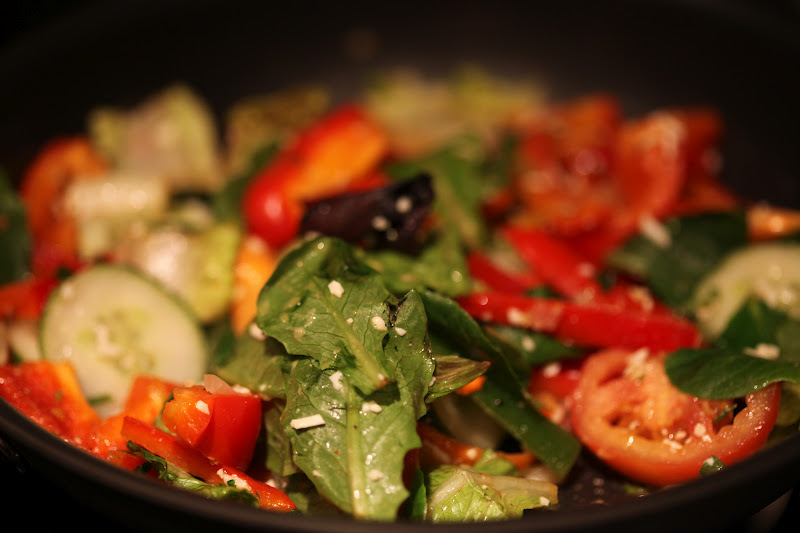 The goal was to get everything to an even temperature and stir up all the flavors but not really cook the salad. In the meantime, I toasted some whole wheat whole grain wraps. 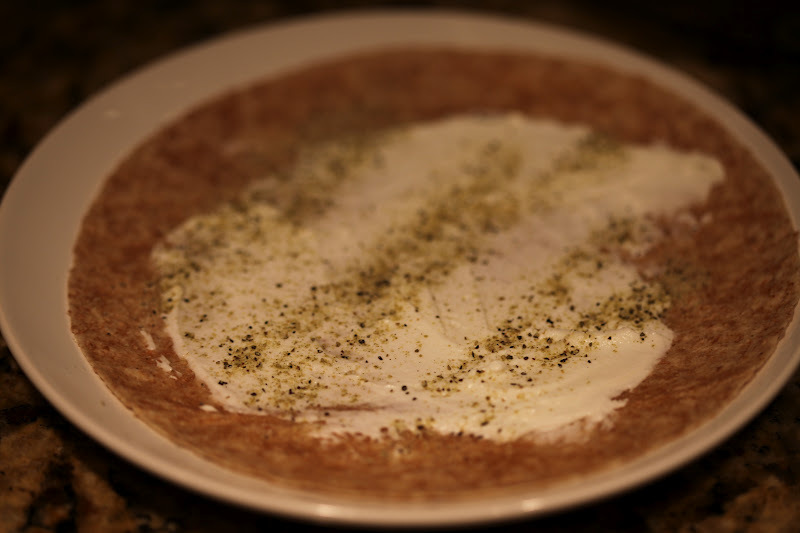 Those were coated with a little bit of Greek yogurt and sprinkled with Cavenders seasoning. I added my pepper and salad mixture and added a couple dollops of creamy dressing on top. You could also add more yogurt or some cheese. 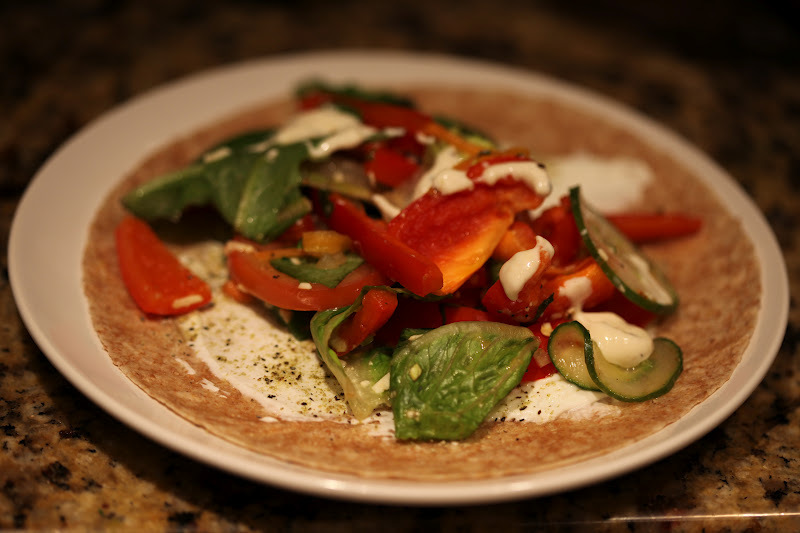 A delicious, healthy wrap using leftover salad and red peppers. Fast and easy to make. What are/is Cavenders? That is probably the most beautiful vegetable wrap ever. ← Sauteed Spinach with Shitake Mushrooms and Sesame.